Alberta sent four teams to the Best of the West 18U Invitational Tournament held in Kamloops, and had a very strong showing. This is an annual invitational tournament that features the best teams in Western Canada. 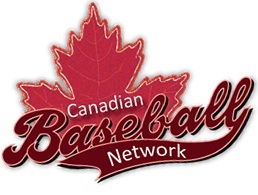 In round-robin play, the Prairie Baseball Academy (PBA) from Lethbridge, went 3-0 to get the overall first seed in the playoffs, while the Okotoks Dawgs also went undefeated to secure the 2nd playoff spot. Meanwhile Calgary's PBF Redbirds and the Vauxhall Jets went 2-1. Vauxhall secured the 3rd playoff spot by winning their pod, while Calgary waited for the results of a Langley Blaze - White Rock Tritons match to see if all four teams in the playoffs would be from Alberta. However, the Blaze won to finish with an identical 2-1 record and got the wildcard berth edging out the Redbirds on tiebreaker rules. This left 3 out of 4 Alberta teams, and 1 of 8 BC teams playing for medals. In total Alberta teams went 10-1 against teams from BC in round-robin play, as Calgary's lone loss was to Vauxhall. There were several exciting matches during the tournament. In a game between Okotoks and Langley, the Dawgs held to a slim 1-0 lead until Langley tied it with 2 outs in the 7th. But the Dawgs scored a walkoff run in the bottom of the frame to win it 2-1. The Redbirds were involved in some pitcher's duels of their own, as they beat the North Delta Jays 1-0, and survived a bases loaded rally by the Jays, throwing the potential tying run out at home. In the following game, against the Parksville Royals, neither starting pitcher had given up a hit heading into the 5th inning. But the Redbirds managed to cobble some offence together, and ended up scoring three times, and their pitcher completed the no-hitter, shutting out the Royals 3-0. Vauxhall also survived a scare, jumping off to a 7-0 lead, but barely holding on to beat the Redbirds 9-7 as Calgary got the tying run on second base in the last inning. In the playoffs, Okotoks defeated Vauxhall, while Langley eliminated PBA. This still left an Alberta team with a chance to bring home the trophy, but Langley got some revenge in a rematch of the round-robin game, as they defeated the Dawgs by a score of 5-3 to win the tournament for the 3rd year in a row. 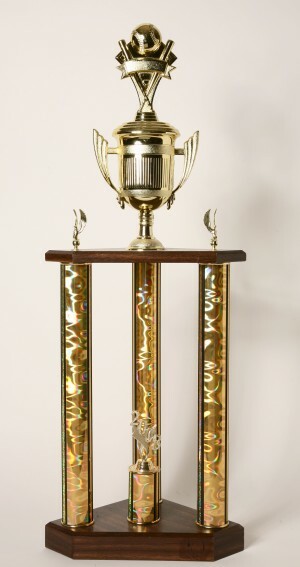 With the strong showing by all the Alberta teams, hopefully in 2013 an Alberta team will bring home the trophy!